The membership of the Mississippi Geological Society is diverse and includes geologists and other geoscientists with backgrounds in industry, government, and academics. The Society has always focused its efforts on the promotion of educational outreach (the Boland Scholarships, MSU "Brown Bag" Lecture Series), continuing education (the Noon Luncheon Lecture Series, Poster Sessions, and MGS Symposia), and adherence to the highest standards of professional ethics for its members. The Society's members include many members of the Board of MSBRPG, as well as a past president of the National Association of State Boards of Geology (ASBOG). Since 1997, geologists practicing within the State of Mississippi have been required to register with MSBRPG and to conduct their professional work with adherence to the high ethical standards expected and required of all professional geologists. For more information about the important oversight and guidance provided by the MSBRPG, please visit their site. An RPG shall not falsely or maliciously attempt to injure the reputation or business of others, or attack or attempt to discredit others for holding viewpoints different that that of said RPG. The Mississippi State Board of Registered Professional Geologists has entered into Statements of Understanding with four neighboring states: Alabama, Arkansas, Georgia, and Texas. The state agencies responsible for licensing and registration of professional geologists in those four states have agreed to exchange comity with the MSBRPG, provided that an applicant for comity in one state is duly licensed in the other state, and as long as both state agencies approve of the application for comity. This is a general description of the statements of understanding regarding comity between the states of Mississippi, Alabama, Arkansas, Georgia, and Texas. The State of Louisiana began requiring the licensing of geologists in 2014, establishing the Louisiana Board of Professional Geoscientists (LBOPG). LBOPG's "grandfathering" period ended on December 31, 2014. Petroleum geologists and other "resource" geoscientists are primarily engaged in the (typically subsurface) exploration for hydrocarbons and other resources for public and private industry, which sets them apart from many geoscientists with backgrounds in government and academics. Petroleum geologists in particular must focus on the highest standards of ethical and professional conduct when participating in the solicitation of funds from third parties for the drilling and development of oil and gas wells, regardless of the nature of risk associated with the proposed work. 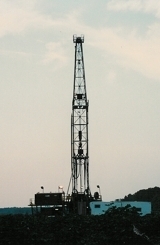 The risks inherent in oil and gas exploration, for example, must be fully disclosed and presented to all investors, and the professional geologist should take care to ensure that his or her proposal or presentation contain all material fact relevant to the "prospect" under consideration, and all data pertaining to the proposal must be disclosed and offered to all third parties that have taken the proposal under consideration. The theft of intellectual property must also be strongly discouraged. All geoscientists must recognize and credit the work product of others and adhere strictly to all confidentiality and non-disclosure agreements designed to protect the "generator". For the truly professional geologist, respecting the intellectual property of others is not necessarily dictated solely by the duration of such agreements; one's "ethical compass" must guide the professional geologist's conduct at all times in such matters. The Mississippi Geological Society takes pride in its student mentoring and educational outreach to geologists in training. The importance of high standards of professional ethics remains an integral part of that outreach effort, and the proud legacy of all of those mentors (now Honorary Members) who set such lofty examples for us to follow, when we ourselves were young and impressionable students.